Where there are armies of Angels O John. Tornike Eristavi* was a Georgian army commander famed for his victories in war and a favorite of King David Kuropalates. He came from a notable Georgian noble family and was in the immediate circles of the ruling dynasty of the Bagrationi. His father, Chordvaneli, had been in the suite of the Georgian prince Ashot II Kuropalates who had paid a visit to the Roman Emperor Constantine Porphyrogennetos in Constantinople in around 950. Eventually he abandoned his worldly glory and set off in search of his spiritual father, Saint John the Iberian with his son Euthymios, on Mount Olympus. There he learned that Saint John the Iberian had moved to Mount Athos, so he journeyed there and settled with him in the Monastery of Great Lavra headed by Saint Athanasios the Athonite. He was tonsured a monk and given the new name John. Soon many Georgians became thirsty for the ascetic life and arrived to labor on the Holy Mountain. To serve the young community, Saint John and Euthymios built a church in honor of Saint John the Theologian and constructed cells nearby. In such a way, the first Georgian community on Mount Athos was established. At that time, Bardas Skleros, commander of the army of Asia Minor, led a revolt against Basil and Constantine, the young Roman emperors. The dowager empress Theophania, hoping to receive assistance from Georgia, requested that John Tornike travel to his homeland, inform the king about the difficult situation in Byzantium, and rally the Georgian armies for support. At first John Tornike refused, doubting his preparedness to return to life in the world. But after the other brothers pleaded with him and he received Saint Athanasios’ blessing, he returned to Georgia and delivered Theophania’s letter to King David Kuropalates. The king was overjoyed at the sight of his favorite military leader, and he consented to the empress’ request, provided John Tornike would command the army. The king was resolute and John Tornike was compelled to honor his will. With God’s help and under the wise leadership of John Tornike, twelve thousand Georgian soldiers defeated the army of the godless Bardas Skleros. The decisive battle was fought at Pankalia near Caesarea on March 24, 979. 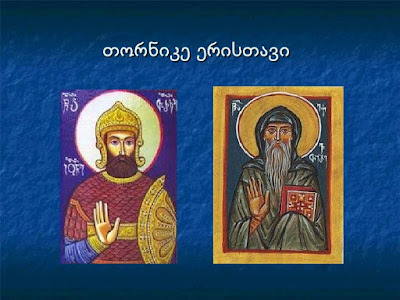 In reward for their support, David was awarded with the lifetime stewardship of the extensive lands in northeastern Anatolia, while John Tornike was conferred with the title synkellos (assistant to the Patriarch of Constantinople). 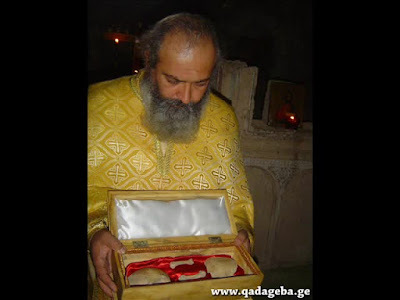 More importantly, the victorious monk-general returned to Mount Athos laden with the spoils of war, "precious objects" as well as twelve kentenaria (1,200 lbs) of gold, that enabled the Georgians to establish their own house on Athos, called Iveron. Although populated now with Greeks, the monastery is to this day known by the Greek appellation Iveron, "of the Iberians", i.e., Georgians. The emperor also showered him with lands and privileges, including Kolobou Monastery, and granted him subsidies and exemption from taxes. 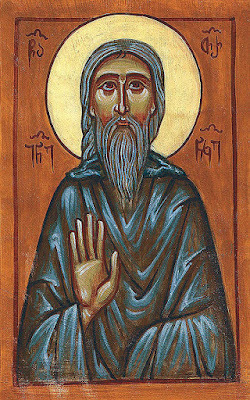 The new monastic house, destined to become a vibrant center of the Georgian Orthodox culture, was jointly run by John Tornike as a founder and his spiritual father John as abbot. 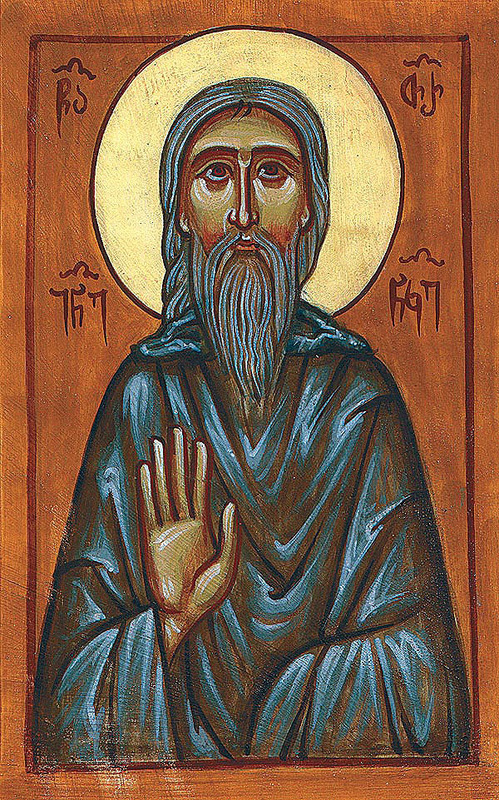 Saint John Tornike was a perfect example of humility. He renounced his own will completely and would do nothing without a blessing from his spiritual father. “I entrust myself and my will to you. Save me according to your will!” he would tell Saint John. The brothers of the monastery often asked John Tornike to recount his military glories, and he was obliged to recall his past. Once Saint John Tornike requested that he share his memories with a certain Elder Gabriel, a man who spoke not a single vain word. John Tornike agreed, and after he had narrated his glorious past to the elder, he ceased speaking entirely. He spent the rest of his life in silence, hoping in God, and reposed peacefully in the year 985. * Tornike is a Georgian name of unknown origin. 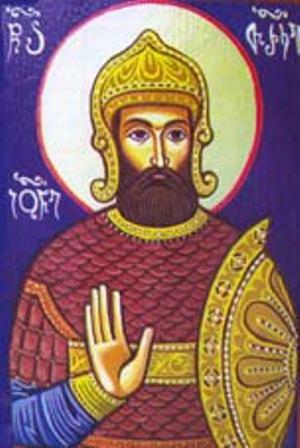 Eristavi is a Georgian title, equivalent to the Roman Strategos, meaning literally “head of the army.” An eristavi was also the ruler or governor of his province and a pillar of the Georgian monarchy. During certain periods of Georgian history the title was hereditary. The title is equivalent to a European duke.